Location 3 – Trail Blazer Survival School, Inc.
Do you want to run a Trail Blazer Survival School? 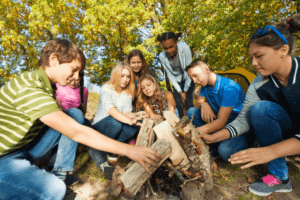 Do you own land that can be used to teach wilderness survival classes? If you do own land suitable for wilderness survival classes and you are interested in operating a Trail Blazer Survival School in your area, contact us. Low startup cost compared to other businesses and you only need one or two instructors initially or none if you will be doing the survival training at your camp. With your purchase of a Trail Blazer Survival School, you will receive detailed training in wilderness survival, help from the start to get your administrative part of the business operating smoothly and a team who will set up your initial marketing to jump-start your business.